It’s been a special month here at ReadyMade Works and for dance more generally! We are very proud to have had so many artists, audiences, dancers and teachers in the space for March Dance. Thank you to everyone who engaged with and supported our programs, Happy Hour, Constant Relay and Independent Dance Classes. The feeling of community and enthusiasm for making and sharing dance gave us a thrill – and we hope it did you too! 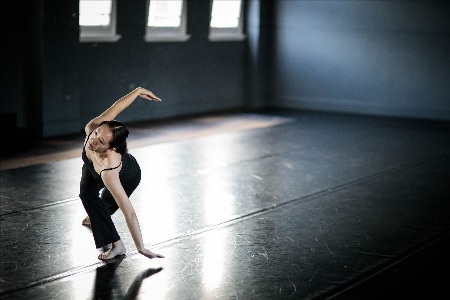 The pictures say it all, but we just wanted to say a heartfelt thank you to Happy Hour artists Katina Olsen, Murasaki Penguin and Ryuichi Fujimura who presented new works to two full houses on the first weekend of March Dance. 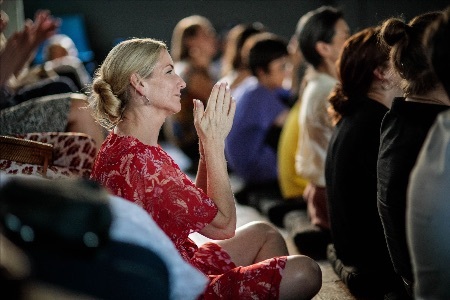 Katina Olsen shared a very special performance of ‘namu nunar’ underneath the dusk sky in the nearby Quarry Green, while Murasaki Penguin’s exceptional sustained performance brought the environment into the studio, and Ryuchi’s new work ‘Fall! Falter!! Dance!! !’ reminded us that dancing might just solve all our problems! We were delighted to have so many people through the doors at ReadyMade Works to witness these new works. Thank you to everyone who came along, it was special to feel ReadyMade swelling with so much support for Happy Hour and these artists. 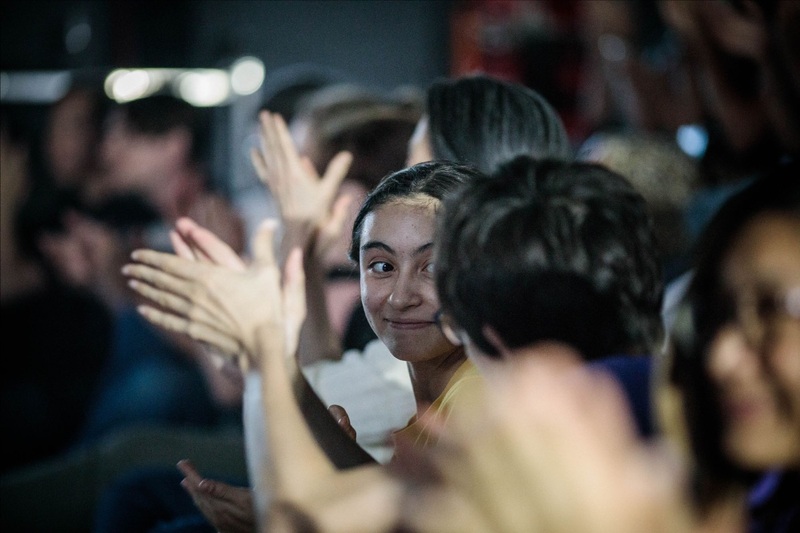 A big thank you to each of the six artists who engaged in Constant Relay during March Dance – Zachary Lopez, Coti Cibils, Martin Del Amo, Holly Craig, Jia-wei Zhu and Raynen O’Keefe. Over four days they were in the studio at ReadyMade Works, developing and practicing their current work. The schedule allowed half-hour overlaps between their residencies, affording the artists opportunities to exchange and share what they were working on. Some thoughts from the artists below. 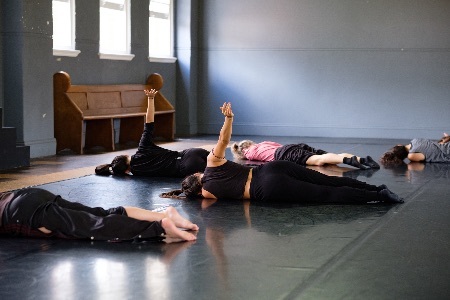 Thanks to everyone who came along to our special March Dance edition of one-off Independent Dance Classes taught by Rhiannon Newton, Lee Serle, Zachary Lopez and Brooke Stamp. Check out some of the great photos from Zachary’s class below. 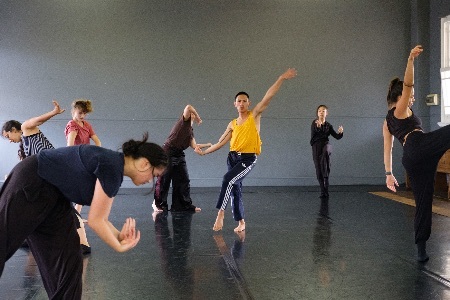 Independent Dance Classes continue each Tuesday 10-11:30am at ReadyMade Works. Classes are taught by industry professionals and are run by artists for artists. Come get sweaty and swing a leg for just $10 (cash) each Tuesday at ReadyMade Works. Adelina Larsson is a Swedish/Australian choreographer, curator, producer, performer and educator. She trained at DOCH, Stockholm and CODARTS, Rotterdam. Since moving to Australia in 2007 she has worked with artists like David Pledger (NYID), Yumi Umiumare, Andrew Morrish, Amelia McQueen, Rhiannon Newton, Trevor Jamieson and Bek Conroy and performed/choreographed for performing arts companies presenting at Melbourne Arts Festival, Sydney Opera House, The State Theatre Centre WA, PICA, Nishi Gallery and Fremantle Arts Centre. 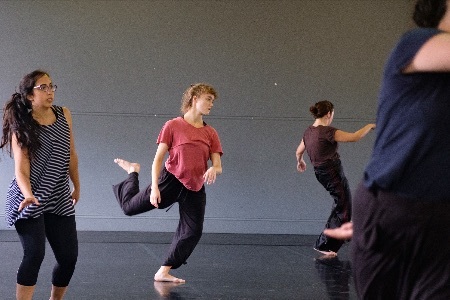 In 2014-2016 she lectured choreography and contemporary dance techniques at Western Australian Academy for Performing Arts. In 2015 she became Associate Artist of Big hART Arts and Social Change Company working nationally on their projects. 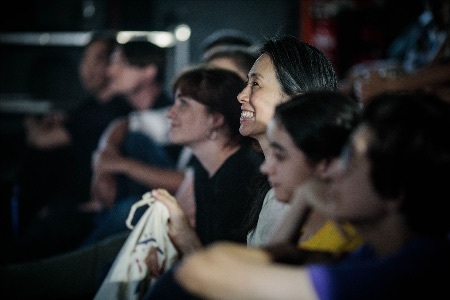 She is the founder and director of Strange Attractor – a platform for choreographic research and since 2017 the Associate Artist at Critical Path where she curated Interchange Festival Political Body and guest edited Critical Dialogue No Body. Adelina’s class moves between improvisation and floor-work technique. You will be guided and invited to attend the subtle body movements and to kick up a sweat to some high energy grooving! Full body engagement to sweet vibes! Anton has 22 years of professional experience in dance. 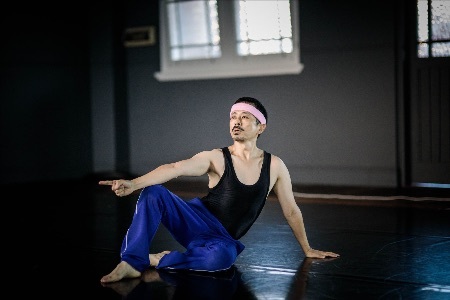 His performance engagements include Dance North, Australian Dance Theatre, Tasdance, Legs on the Wall, Sydney Theatre Company, Australian Opera and independents Shaun Parker, Meryl Tankard, Tanja Liedtke and Martin del Amo. 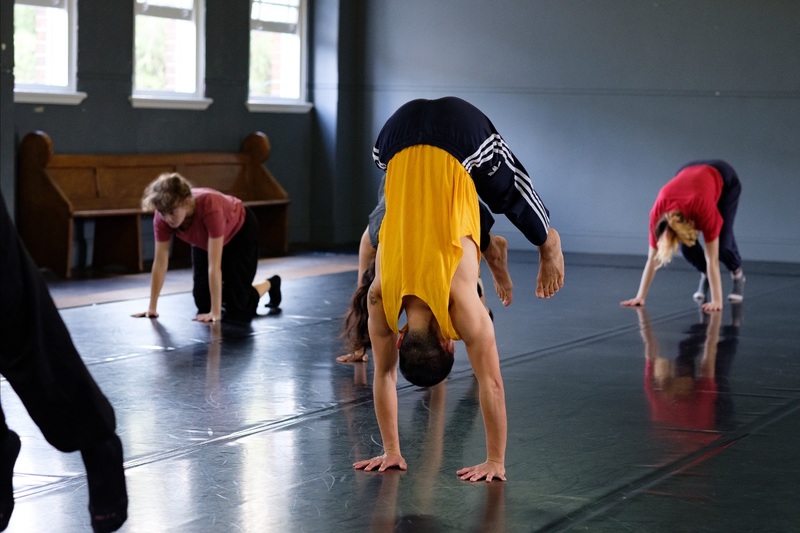 Some of Anton’s commissions and choreographies include Supermodern — Dance of Distraction (Form Dance Projects, 2012), IOU (Spring Dance 2012, Sydney Opera House), Durak (Campbelltown Arts Centre, 2012), Beautiful Noise (Brisbane Arts Festival, 2011), Compact Homo Sapien (TanzFestival Ingolstadt, Germany, 2010), Capacity (WAPPA, 2010), The Blur (Tasdance, 2009) and Freedom to Launch (Sydney Opera House Education Unit, 2007). Anton’s release technique class will use know contemporary dance structures to give time and space for the body to meditate, roll, stretch, move, articulate, drop, weave, wave, release and fly. Look forward to seeing you! We’d like to take a moment to thank our partners, Critical Path and DirtyFeet, and all the organisations, venues and artists who made all this wonderful activity in March a possibility. Particular congratulations to Anthea Doropolous who project managed March Dance and enabled such a large happening to take place. We’d also like to thank the City of Sydney for their support of March Dance and ongoing support of ReadyMade Works. 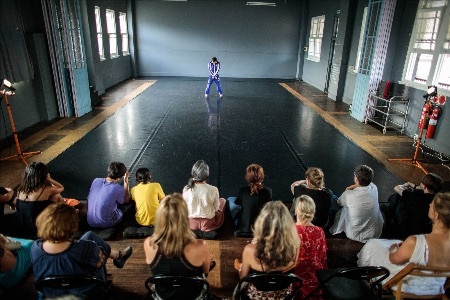 We are keen to hear your thoughts about the programs we led for March Dance at ReadyMade Works. Drop us a line at caretakers@readymadeworks.com.au to share your thoughts. 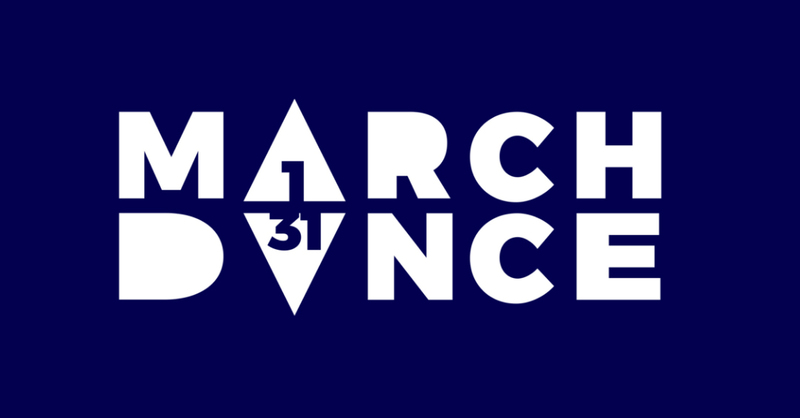 March Dance also wants to hear your thoughts, so please take this short survey to feedback more generally. For classes, workshops, rehearsals and studio practice, there is some remaining availability in April and May to hire the beautiful ReadyMade Works studio. Rates begin from $12 per hour for solo artists and $22 per hour for unfunded groups. Head to the website to check the availability and make a booking using the online booking system. Our friends at DirtyFeet currently have EOI’s open for Out of the Studio (OOTS). 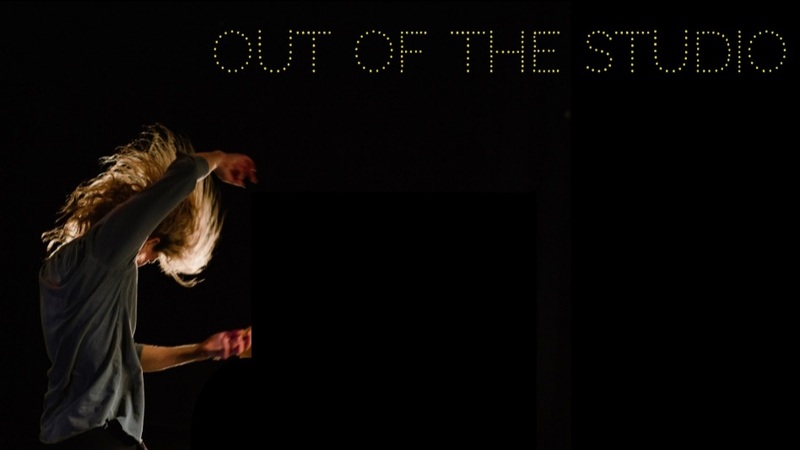 This is a paid opportunity for choreographers to present their work in a theatre context. It provides artists with studio space, producing and marketing support and more! Applications close Monday 29 April.